In my earlier articles I've explained about Creating SSH Tunnels on Linux and BSD and how to create SSH Tunnels with Putty Terminal client on Windows. Creating SSH Tunnels is a precious knowledge every advanced computer user, a system administrator or security expert should be well aware of. So What is an SSH Tunnel? – SSH Tunnels shortly explained. 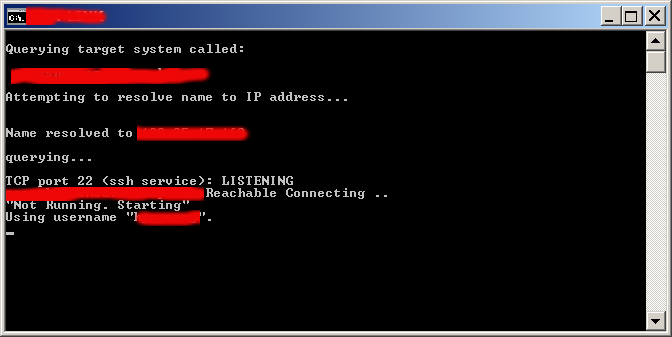 network through an encrypted channel between two hosts (host A and Host B) usually using remote and local port. Where Host B has to be running a version of OpenSSH server on some reachable port from Host B, (lets say 22). Host B OpenSSH server has to be with (enabled X11Forwarding – X11Forwarding yes in /etc/ssh/sshd_config) and Host A needs to have some SSH client supporting port forwarding (ssh command on Linux – part of (openssh-client package) and on Windows – Putty / Plink or any other of the many available ssh tunneling clients). 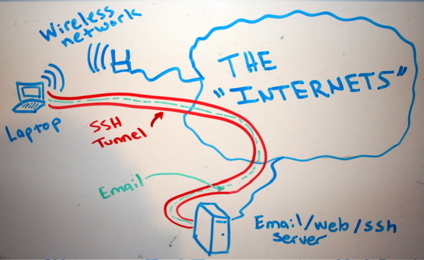 Probably most common SSH Tunnel use is to bypass firewalls that prohibits or filter certain internet services. SSH tunnels can be used to tunnel outbound E-mail traffic back to your work PC to avoid having to change SMTP servers etc. For people who has to travel a lot tunneling SSH traffic from notebook to your home based SMTP is mandatory, otherwise your e-mail passwords, might end up captured by someone who manages the Free WI-FI used by you somewhere on the road or cafeteria. Another good case use of SSH Tunnel is to tunnel VNC traffic. SSH Tunneling was historically very famous in days where IRC (Internet Relay Chat) and used to be common way (for people who want to prevent their real IP address from publicly visible) on the Internet. SSH Tunneling is great way to maintain high communication security, however because it requires some basic technical knowledge most people neglect it or never heard of it, so I hope this article will give at least basic ideas to people new to tunneling. SSH Tunneling has been originally invented on UNIX / Linux platform, luckily nowdays it is easily possible to create SSH tunnels on almost any moden OS (including Mac OS X and M$ Windows). -D – option instructs Plink to make "Dynamic SOCKS-based port forwarding"
Dynamic Socks-based port forwarding will make your ssh client a simple socks server which listen to port 10022 for incoming connections. Using the -D option you can prepare tunnel to traffic all your outgoing server traffic via the SSH tunneling host. E. g. -D allows you to use the remote ssh server as a proxy server with no need for remote server to run anything except SSH service and have Internet connection. -N – stands for "don't start shell/command SSH-2 only"
Note: That if you're about to be using Plink command frequently add it to your Windows SYSTEM PATH (check my previous article – how to add Putty to System PATH) to enable it invokable without writting the full command path location. 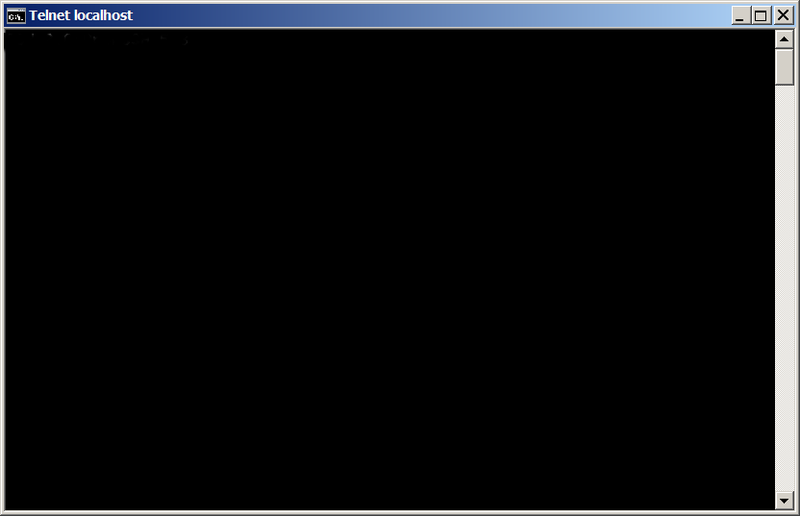 Once this Window is open if you still have doubt, where the tunnel is established, the quickest way to test whether tunnel is working is to open telnet to localhost port 10022. Now lets say now you would like to access the internet via just created SSH tunnel. You can do it by simply setting Socks Proxy in your Firefox / Opera (or whatever browser you use). start /b "C:Program Files (x86)PuTTYplink.exe" -ssh remote-username@tunnel-to-ssh-server-host.com -pw Password123 -T -C -D 127.0.0.1:10022 -N"
If you're a Linux guy and you don't want to mess around with Plink but still want to create your SSH tunnels following SSH client UNIX command line syntax, setup the Cygwin port of OpenSSH for Windows. if %ERRORLEVEL%==0 echo tunnel-to-ssh-server-host.com Reachable Connecting .. 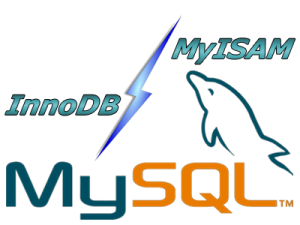 Here is another sample use of Plink to create tunnel via SSH host tunnel-to-ssh-server-host.com to listen for connections on localhost port 1234 and forward all incoming traffic to squid proxy server on 192.168.1.5 on port 3128. Setting then 127.0.0.1:1234 in Firefox Proxy browser settings will make all traffic from your browser to flow securily to your own proxy server (letting you hide your "custom traffic" from company Web sniffers (Proxying) and Web filtering. A remark to make here is 192.168.1.5 is (a internal server with Squid Proxy, configured to pass traffic to the internet ). plink.exe "-v -x -a -T -C -noagent -ssh -L 127. 0.0.1:1234:95.158.130.242:443 -pw SecretPassword123 -l hipo pc-freak.net"
pc-freak.net – is name of my home router. 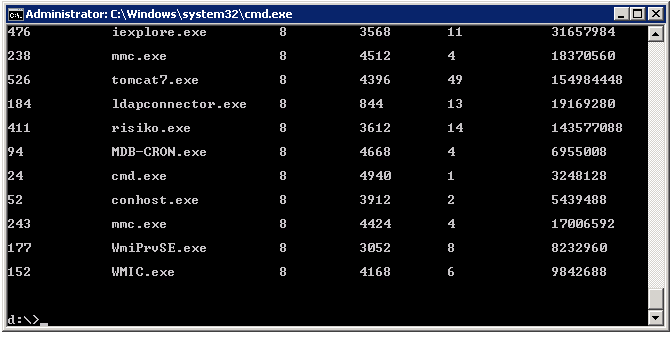 If you're a lazy windows user and don't want to bother to make your tunnels from command line and you want need nice gui way to manage multiple tunnels – check out putty-tunnel-manager. I myself am not a SSH Tunnel expert and thus Iwould be happy to learn further from people for some interesting cases and custom ways to do SSH Tunnels. If you know of better advantageous ways to tunnel traffic, please share. If you're a Linux geek and forced to work on Windows for some reason. You will probably want to add some Linux & Feel to Windows console. 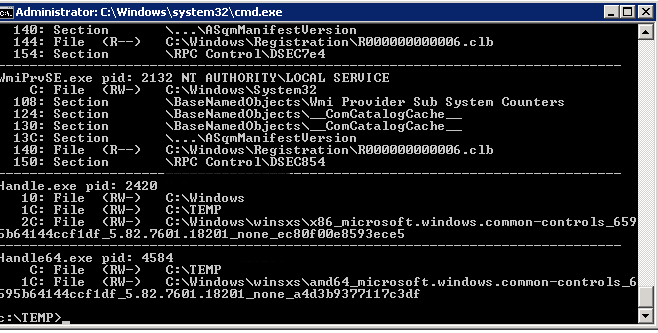 Yesterday in a discussion with a colleague who is considered to be our team's Windows Guru, I noticed his Windows 7 command line looks slightly different and asked him, "is it some cmd.exe customization?" and this is how I learned about existence of ConEmu and Clink. 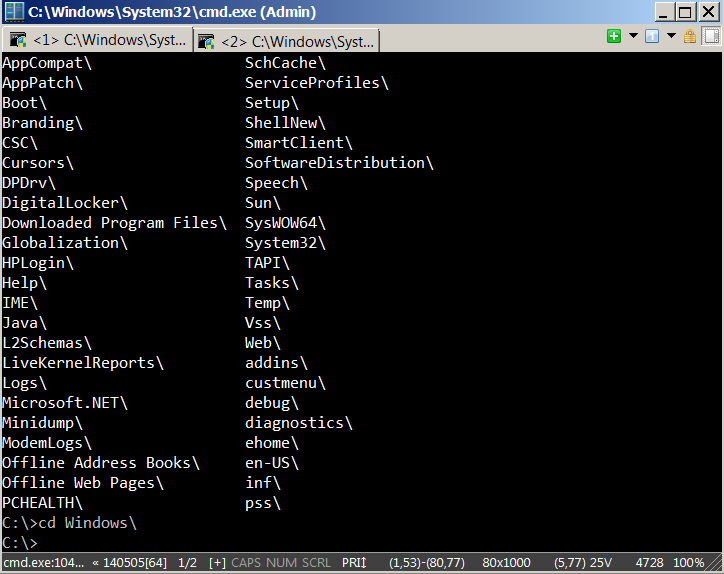 ConEmu is advanced console window where you can run any shell of your choice. If you're get used to Linux's Midnight Commander (MC) and you're looking for MC for Windows you will certainly want to check out Far Manager (File and Archive Manager). Far Manager provides simple and intuitive ncurses (mc) like interface on Windows and supports view, edit, copy rename and a lot of other basic operations supported also by mc. Clink combines the native Windows shell cmd.exe with the powerful command line editing features of the GNU Readline library, which provides rich completion, history, and line-editing capabilities. 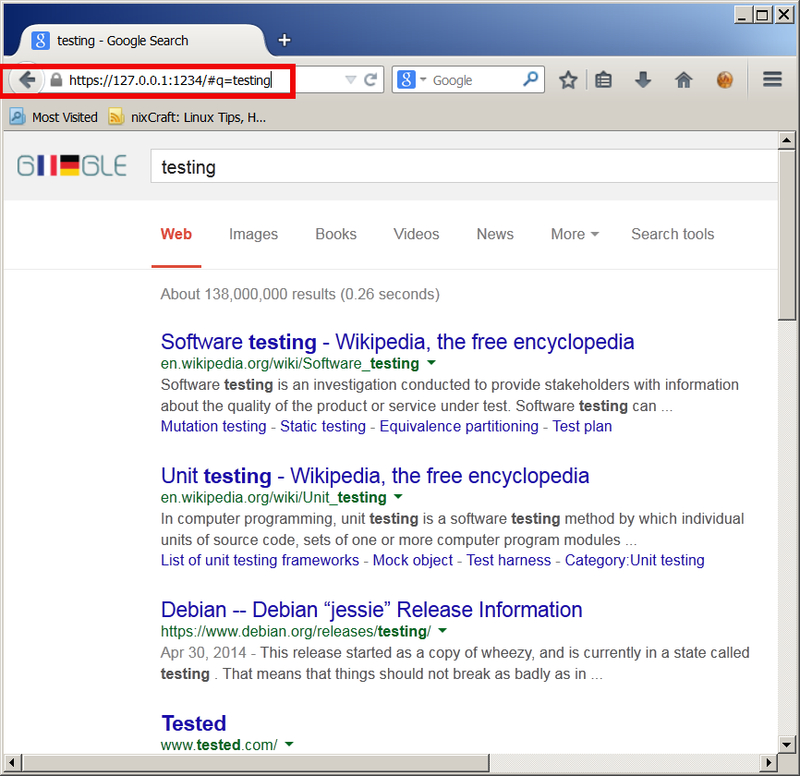 Readline is well-known and used in Unix shell Bash, the standard shell for Mac OS X and most of Linux distributions. In my view coolest Clink command shortcut is reverse-search allowing you to auto-type by letters commands (from command line history), lets say you want to invoke dir – you press CTRL + r and type D and all occurances earlier typed starting with "d", pops up as possible choice. 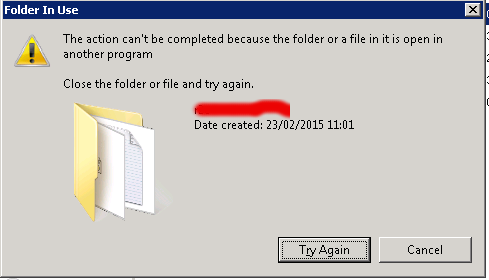 Everyone who had to administer Windows servers know how annoying is that by default cmd.exe doesn't support window resize. 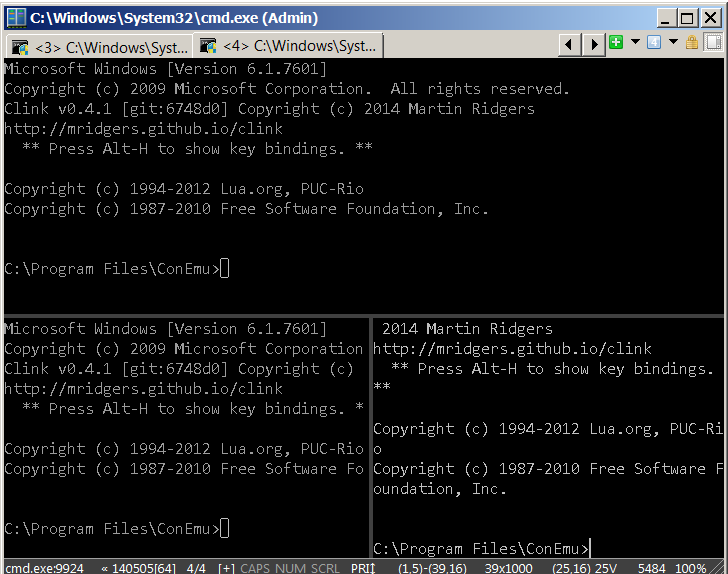 Using ConEmu solves that as it supports resize of command prompt Window (horizontal and vertical resize). 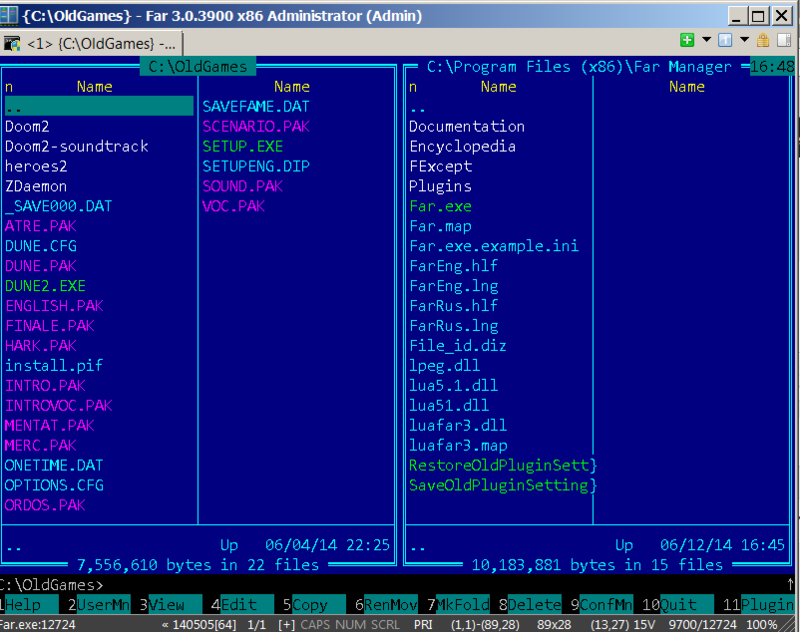 ConEmu has a status bar, support (configuration colors) and even transperancy but most importantly for old school dos geeks is that it supports integration with dosbox run old DOS applications (games) in Windows 7. 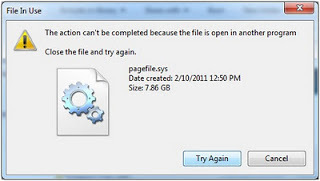 To open new tabs in ConEmu the well known Firefox used CTRL + T will not work, but 'open new tab' key shortcut can be customized and also set to CTRL + T. Default key shortcut for opening new tab in ConEmu is 'Windows Button' + SHIFT + W. While Opening new consoles in ConEmu, there is also the useful option of Splitting console (top and right).